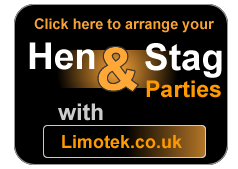 Limotek.co.uk is a national limo hire/rental booking agency here to make life easier for you. We provide limo hire across the UK. Whether you are in looking for limo hire in London or limo hire in Hounslow, we have access to the largest selection of the best stretched vehicles across the country. Limotek also offer limo hire in Glasgow and all other ares in the Scotish borders, we have access to the largest selection of the best stretched vehicles across the country. Use our online limo hire quote form for our best deals or call our sales team on 0871 789 9911 for friendly expert advice on the types of vehicles available in your area, you can choose any car from a pink stretched chrysler C300 Baby Bentley (Which is commonly used with the ladies or young girls for there school proms) to a classic wedding car like the Beauford or the party buses to stretch hummers (Which is more often used for Grooms to show off there wedding days). We are proud to boast that customers are always happy with our nationwide service and keep coming back because we offer an A1 World Class limousine service sourcing cost effective vehicles from operators nationwide and because we bring them repeat business we can get great discounts which we are able pass on to our customers. We are allready taking bookings for christmas, so if you own a company or apart of a large company and want to treat the team with a corporate event, why not start the night in one of our hummer limos as this is a great incentive to award your team and make them feel a valued member of your company. 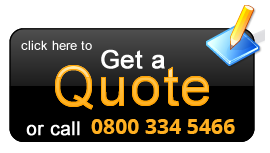 Whatever you are looking for, whatever your budget, just click for a online quote or better yet give us a call and let us do all the leg work. So you don't have to, we will provide you with competitive rates that will blow your mind! We at limotek have extensive knowledge within the limousine industry and offer a complete no obligation free advice and limo hire booking service. Whether you are looking for fabulous vehicle to rent for a Birthday, Children's Birthday Parties, Wedding, Hen/Stag nights, Corporate events, school proms, or even for you romantics out there Valentine's day or maybe to take your special someone to a West End Musical, we cater to all your needs, so why not make a grand entrance and arrive in style. We even provide a great limousine service and great value for money for sporting events including, Royal Ascot, the Grand National, Cheltenham the FA cup finals, high profile premier league games, and the 2012 Olympics. Limotek carter for all sporting events, we can provide a cheap limo hire based on a budget for any corporate event including cricket events, boxing events and rugby games. So why chose us? Whilst there are many limousine companies/limousine brokers out there, we at limotek pride ourselves on providing all our clients with a first class service. Whether you are looking for hummer limo hire in London or a Lincoln stretch limo hire in Birmingham, we can match your event to the perfect limousine. Planning a Hen night why not go for fire engine limousine or to make sure you stand out from the crowd, why not go for pink limo hire or any other type of stretched vehicle? Stags why not go for the monster of all vehicles the Hummer H2, be noticed in this beastly stretched limousine and stand out or maybe Ferrari limo hire or Porsche Cayanne limousine might be better suited for you? There are so many options available to make your Hen or Stag Night a definite night to remember, so give us a call and talk to us about your needs, you never know we might have some ideas that could give your evening that extra sparkle. We have had Hen parties where the ladies have dressed up in Kill Bill costumes, just imagine walking around London in a group and being the centre of attraction. Or we have even had certain groups of men and women dress up in super hero costumes which was a real head turner for the night. Give us a call as we have alot of different ideas and may also be able to give you an idea to be the centre of attraction in your area. So you have decided on a limousine for your event, next thing is to decide the types of vehicles to rent. Our fleet of cars have 8 to 16 seats and range from standard Lincoln stretch limousine to a hummer, party bus limo hire and a red or pink stretch fire engine limo hire. Limousine rental has become increasingly popular and we have increased the fleet to include a Ferrari stretched limo hire vehicle which over time has been called the Ferrari limousine, porsche cayenne limo hire, range rover to bmw x5 limo hire. With the new stretched Lamborghini coming very soon could be sure our fleet is kept up-to-date and will get heads turning. Our prestige fleet also includes luxury cars from Rolls Royce Phantoms, Bentley, Beufords, and high end Mercedes for your special occasions such as weddings or maybe for that special anniversary coming up? Limousine rental is not just about the look of the car! Ever heard the saying "don't judge a book by its cover" ? When hiring a a stretched limousine hire its always important to ask about the Interior of the car. Yes, limousine rentals these days have different interiors. If you love things Pink, then you can always book a pink vehicle that is not only pink outside but inside as well! Or maybe you consider yourself to have the X factor then why not hire a vehicle with a Karaoke machine inside?! If you see yourself as a Games "guru" then why not rent a vehicle with a Plasma Screen and a games console? Some party buses also comes with "Dance Floors" inside their which is a floor that lights up. The list is endless! Why not give us a call and talk to us about what you want to do and let us help you make your special night one to remember. Limotek is one of the best limo agency companies that offers a service across the country which means no matter where you are we can supply a great service and take you wherever you need to go. We have operators in Scotland, England and Wales. So what ever the area just pick up the phone and we will meet you there. We also have had customers contact us from America, UAE, France, Italy and even Ireland, India, kenya, and Australia. This shows that Limotek are a company that is recognised globally and we beleave that if our service is great then we will receive repeat business. Limotek provide hummer limo hire and wedding car hire to the UK limousine industry that covers many different areas, here is a list of some of the areas we cover. Aberdeen (AB), Aberdeenshire (AB), Ascot, Beaconsfield, Bedfordshire, Berkshire, Birmingham (B), Blackpool (FY), Bolton, Bournemouth (BH), Bradford (BD), Brighton (BN), Bristol (BS), Buckinghamshire, Cambridge (CB), Cambridgeshire (CB), Cardiff (CF), Cheshire, Cleveland, Cornwall, County Durham, Coventry (CV), Croydon (CR), Cumbria, Darlington (DL), Derbyshire (DE), Devon, Dorset, Dundee, East London (E), East Sussex, East Yorkshire, Edinburgh, Essex, Fife, Glamorgan, Glasgow (G), Gloucestershire, Hampshire, Hertfordshire, High Wycombe, Hounslow, Hull, Kent, Lanarkshire, Lancashire, Leeds, London, Liverpool, Maidenhead, Manchester, Merseyside, Mid Glamorgan, Middlesbrough, Middlesex, Midlands, Midlothian, Milton Keynes, Newcastle, Norfolk, North London, North Yorkshire, Northampton, Northamptonshire, Northumberland, Nottingham, Nottinghamshire, Oxford, Portsmouth, Reading, Scotland, Sheffield, Slough, Somerset, South London, South Yorkshire, Southampton, Staffordshire, Stirlingshire, Stockport, Suffolk, Sunderland, Surrey, Swindon, United Kingdom, Warwickshire, Watford, West London, West Midlands, West Sussex, West Yorkshire, Wigan, Wiltshire, Wolverhampton, Yorkshire. The major cities we provide a service in are limo hire London, Bristol, Cardiff, Birmingham, Leicester, limo hire in Manchester, Liverpool, Glasgow, Edinburgh. Going on your honeymoon, why not leave in style and arrange for limousine transfer to the Airport or you may need to arrange a pick-up from an airport or train station then we are the perfect limousine service company because no matter where the station, we will have an local operator meaning we can give great value for money. We at limotek strive to provide you National Limo hire service therefore you can be sure to receive our personalised service, which means that you will get a vehicle suited to your exact specification. You must make sure you leave plenty of time to book your vehicles because our cheap limos are booked well in advance especially on busy days such as Fridays, Saturdays, Bank holidays, prom nights, christmas , valentines and new year's eve. If you are booking last minute don't worry we will do our best to get the limousine hire to your specification.